The English Premier League is one of the most popular competitions among sports fans. The league consists of 20 teams that compete against each other in a series of 38 fixtures spread throughout the month of August up until April. A who demonstrates good managerial skills is crucial for the success of a team. The following article will shed some light on an unfavourable situation whereby managers are not able to coach the team properly and have the highest likely hood of being sacked. Claude Puel’s stay at Leicester City F.C is hanging by a thread. The French coach has by no means performed to Leicester City F.C expectations. 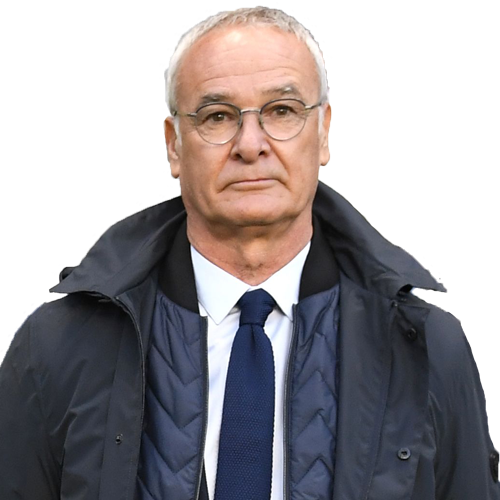 Since the departure of coach Claudio Ranieri who drove the team to victory in 2016, the club has not had any coach who could match the excellence of Ranieri. Craig Shakespeare was the replacement of Ranieri but only lasted four months at the club due to his dismal performance. Claude Puel isn’t any different from Shakespeare only that his time has lasted a little longer. Puel has lost control of the dressing room as per reports from some media. Historically when a coach loses control over the dressing room it most of the times ends up with the coach being sacked. For instance, Mourinho lost his control over Chelsea players during the 2015/16 season in what ended up being a coach replacement. Antonio Conte did the same with Chelsea and was sacked at the end of 2017/18 season. Mourinho lost the dressing room control with Manchester United players and ended up being sacked on December 2018. Puel is sitting on a time bomb and by the fact he has already lost the dressing room control, you should expect him to leave the premier league anytime. Puel has had some poor signings which put him in an awkward place for the title challenge or top-ten spot in the title race. The club has been on the selling spree of its stars, for example, Riyad Mahrez and Ng’olo Kante who was sold to Manchester City and Chelsea. However, Puel hasn’t had a replacement for the same players. The finesse of the squad is dwindling and it won’t take long before the club starts being in bad form considering some of their players are aging up. Puel poor signings might see him being replaced any time soon, probably before the end of the season. Leicester City lost its owner from a plane crash accident. It is the same late Chairman Vichai Srivaddhanaprabha who influenced the acquisition of Claude Puel. 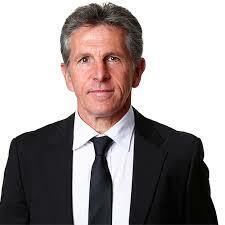 However, since the owner is no longer there and there is some management change, it is likely the Puel term at Leicester will come to an end very soon. Board change has some trickle down effect on clubs’ decisions and Puel might not be spared from that change. Skybet have a 6/4 odds, BetVictor has a 3/1 odds while PaddyPower has an 11/10 odds for Puel to leave. These are low odds and represent a high likelihood for Claude Puel to depart from the club. Neil Warnock is the Current Cardiff City manager. He has had a dismal performance at the club since being promoted to the Premier League. As at the end of January 2019, he had only managed to win only 5 games, draw four games and lost 15 games. During the same period, Cardiff City was at position 17 out of 20 a position that is likely to hold on for a while. Let’s find out why Neil risks leaving the premier league anytime soon. Neil was the manager that was in charge of the club when they managed to secure a spot in the Premier League. Historically, Cardiff has little experience taking part in this competition, which is a big disadvantage to the club. Therefore, if the coaching is not effective, there is a high likelihood of the club being relegated and the coach being sacked or leaving the club. Cardiff City came to the premier league through playoffs and not an automatic qualification. Well, this tells you that there were equally better teams at the championship league that could have fought hard for that chance only that Cardiff City was lucky for the premier league spot. Now that the team made it by sheer luck, they haven’t put the spirited fight to stay afloat in the league and as at January 2018, they are staring at relegation. This shows that Cardiff City can be counted as a solid team to remain in the premier league the next season which places their manager at a high chance of exiting the premier league. 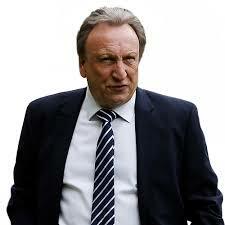 Neil Warnock is currently 70 years old, which may be play a role in the final decisions made. The current trend has been heading towards relatively younger manager, although it is by no means the standard. For instance, Manchester United coach is 45 years, Tottenham coach is 46 years, Arsenal coach is 47 years, Manchester City coach is 48 years, and Liverpool coach is 51 years. These coaches manage the top 5 teams in the Premier League. Comparison of the age of these five coaches versus Neil Warnock and a comparison with their performance show a negative correlation and if there is one factor that Cardiff will check on for dismissal might be the age of the coach. Skybet has an odds of 6/1, Unibet has an odds of 7/2, and Betfair has an odds of 4 for Neil Warnock to leave the premier league. These are undervalued odds since there is a high chance for Neil to exit the premier league coaching job. 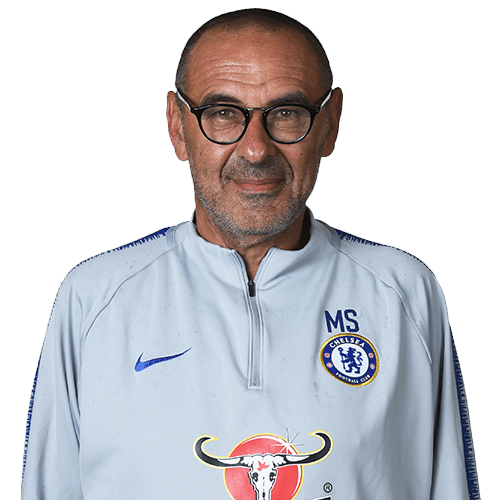 Sarri is the current coach of Chelsea, a position he has held since July 2018. He has had good coaching experience with his recent team before joining Chelsea being S.S.C. Napoli, a team that shone under his management. However, the tables have turned, and there is so much speculation of him leaving the premier league. Below is an analysis why he is likely to leave the premier league and why the bookies have such an incredibly low odds for him to exit the premier league. Chelsea has a history of sacking coaches more specifically if they don’t win cups. For instance, since 2015 they have had five different coaches who have lasted at most two seasons in the club. This shows that Chelsea is in pursuit for the ideal coach who will bring instability in the team, form a good team, and deliver cups to the club and unfortunately as at the moment Sarri isn’t the man. He risks being sacked just like his predecessors whom the club didn’t give them time to prove themselves. The manager’s woes could be attributed to his poor signings. For instance, he let Morata go and brought striker Gonzalo Higuaín. The latter is a skillful striker, however, he is 31 years and has never played for any Premier League club. This, for instance, raises questions Sarri’s choice of signings. Such blunders result in lack of confidence in the coach and a likely pressure of exit from the board. Sarri seems to be unable to motivate his players as seen post 4-0 defeat by Bournemouth FC. When a coach is unable to motivate his players, it raises questions about his managerial abilities. It is from the same challenge that saw Mourinho succumb at Manchester. When a coach fails on the tact to motivate players, he suffers a very crucial coaching attribute that could see his players lose games. Without motivation to the players, even the coach may also lack the motivation to stay in the club and possibly leave the club. Chelsea current striking force is weak and the current reinforcement to the striking force isn’t any better. Chelsea has been on low scoring profile and this indicates a high likelihood of the poor tact of the coach. Even the midfield which was on form on the recent past has been under constant criticism match after match. Not much has changed with the squad which won the cup two years ago yet the performance has been on the downhill. If there’s a finger to point at, it has to be the coach and that’s why Maurizio Sarri will unlikely to see the end of the season without leaving Chelsea. Skybet has an 8/1 odds for Sarri to leave the Premier League. It is such a low odds considering the profile of the manager, but it is the true reflection of the affairs at Stamford Bridge. Ranieri shocked many when he led Leicester City FC to win the premier league trophy in 2015. His coaching profile rose and became the talk of many sports pundits and media outlets. However, the Italian has been unable to reclaim his shining days back. His current assignment is with the Fulham FC where his team is in 19th position out of 20. Let’s slice and dice to get into the reason why his departure is imminent. Ranieri has been unable to replicate the success he had at Leicester City. Immediately he left Leicester at the end of the 2016/17 season, he took over FC Nantes, a French Ligue 1 team. However, his stay at Nantes was cut short due to poor performance. While the poor performance could be attributed to the inexperience of the Ligue 1, the same can’t be said with his current team Fulham. This raises a serious question about the stay of Ranieri at Fulham. Fulham FC is at the brink of relegation, they need to outdo two teams above them to avoid being relegated. What makes it hard for Ranieri’s squad to avoid being relegated is the 17 points they have which are way below what its competitors have. Fulham FC might have to do what it takes to survive in the premier league including sacking Ranieri. Keep in mind Fulham is a team that has experience playing in the premier league and they might do all that it takes to stay afloat in the league. So why doubt the exit of Ranieri? In the premier league, luck counts a lot, while all other factors such as poor form and injuries might affect team performance, luck could be the last thing to save a team. This time around luck isn’t in Ranieri’s side. His team Fulham FC is facing the top lads at Craven Cottage stadium. Fulham’s February and March 2019 fixtures include facing Manchester United, Chelsea, Liverpool, and Manchester City. There is very little possibility of Ranieri beating this top teams considering the league race is tight. This unfavorable fixture adds to Ranieri’s existing woes and creates a psychological disadvantage to him. The current situation is almost at a breaking point. If Ranieri does not leave the club anytime soon, then the board might be forced to take action. Either way, his exit is looming. Bookies have a relatively low odds for Ranieri to leave the premier league. Skybet have a16/1 odds, Betway has a 10/1 odds, and 888 sport has a 10/1 odds. Chris Hughton takes so much credit for leading the ‘Seagulls’ to the premier league and maintaining them in the same league for the past two seasons. However, the Brighton has escaped the relegation battle for the past two seasons by a whisker. It is their last matches that they managed to get off the hook. This season might be a little different and there is a likelihood that the club’s board might want a more secure finish and probably top ten on the table. Other reasons why Hughton will leave the permit league are as follows. Chris Hughton has stayed with his current club for the past four years. During this time, he has managed to build a solid team which has managed to get off the second-tier league and join the premier league. However, there is very little change in the squad for the past few years. The average age of the squad is 28 years with most of its elite squad being in their early thirties of late twenties. This raises a serious question and a possible reshuffle of the coach to get a coach who will rebuild Brighton & Hove Albion new team. 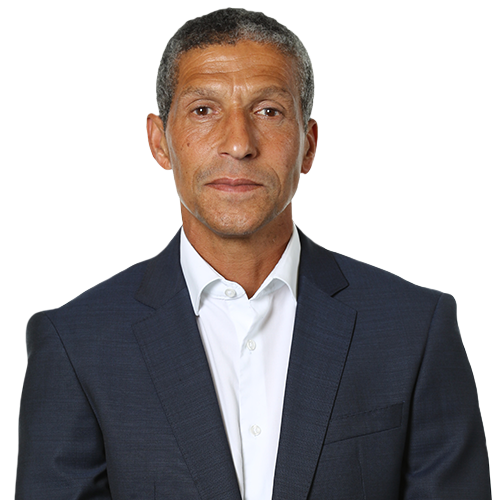 Hughton has performed to his best and has made the team what it is at the moment and this is a reason to back his exit from the premier league any time soon. Skybet has a 40/1 odds for his to leave, BetVictor has a 33/1 odds for him to leave and Betway has a 33/1 odds for him to leave. Looks chunky, but don’t be deceived.